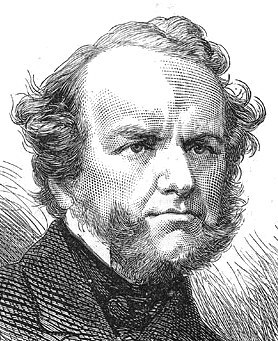 Howard Staunton has earned his place in history, most famously for the chess pieces he endorsed which are still being produced and sold today. But there was so much more to this man than a beautiful set of chess pieces. Howard was born in 1810 and his early life was quite uneventful. He was not given a decent education and until his mid twenties was seen only to squander his inheritance and achieve very little. At the age of twenty six he came to London and took out a subscription that detailed the chess games played in London at the time. Staunton became somewhat obsessed with chess and within just four years had become quite an authority on the subject. Despite his lack of early education Staunton became a formidable writer and within four years of arriving in London was editing a chess column in the new court gazette and British Miscellany. He later went on to publish the chess players chronicle which he owned and wrote in until 1850. Staunton organised and played chess in the very first international tournament in London. It was said that his playing was not his best during the tournament, probably due to the fact he was also having to organise and run the event Staunton was regarded as the world's number one chess player between 1843 and 1851. Staunton’s talents were not limited to chess, he wrote a number of books, one was an edition of Shakespeare and the other a book on the education system. Staunton’s love of Shakespeare also lead him to a brief career on the stage. There is little doubt that he was a versatile and dominant figure of his time. In many ways Staunton was well ahead of his time, his book ‘The Great Schools of England’ was both modern and challenging. He was against corporal punishment and wrote that learning could only take place effectively when the child was engaged with interest. While this all sounds like text book stuff today, it was ground breaking at the time. Like many pioneering greats of our past Staunton had a dark side to him. He was regarded as being quite moody and hostile at times. He often became rather offensive towards opponents when he lost a game suddenly. It is documented that he married a woman who had eight children from a past marriage. Staunton was generally seen as a very dominant figure who was witty and of course very clever. He died of heart disease on June 22nd 1874. Shakespeare, William (1858-1860). Plays. edited by Howard Staunton. Staunton, Howard (1847). The Chess Player's Handbook. Staunton, Howard (1849). The Chess-player's Companion. Staunton, Howard (1849). The Chess-player's Text-book. Staunton, Howard (1852). The Chess Tournament. Staunton, Howard (1860). Chess Praxis. Staunton, Howard (1865). The Great Schools of England. Staunton, Howard (1876). Chess: Theory and practice. Staunton, Howard (1876). The laws and practice of chess.